Nestled in South Carolina's beautiful North Myrtle Beach Park, our canopy tour includes 40 daring crossings and 5 epic ziplines! 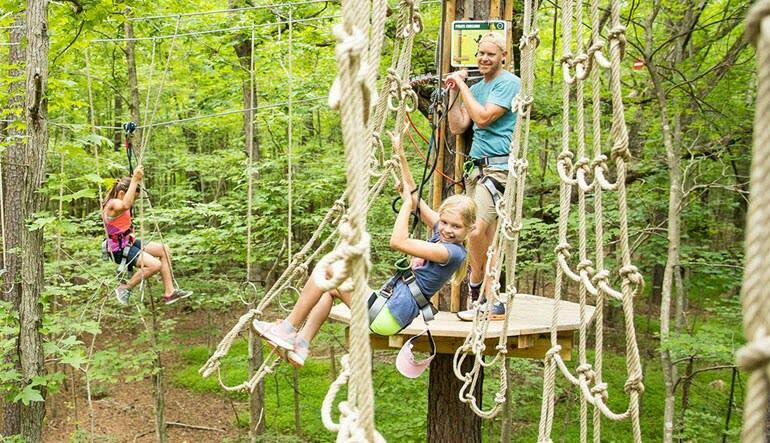 With exciting ziplines, challenging suspended obstacles, and swinging ropes urging you to practice your best Tarzan yell, this zipline and canopy course delivers an invigorating 2 to 3 hour outdoor experience! Nestled in North Myrtle Beach Park, our canopy tour includes 40 daring crossings and 5 epic ziplines! 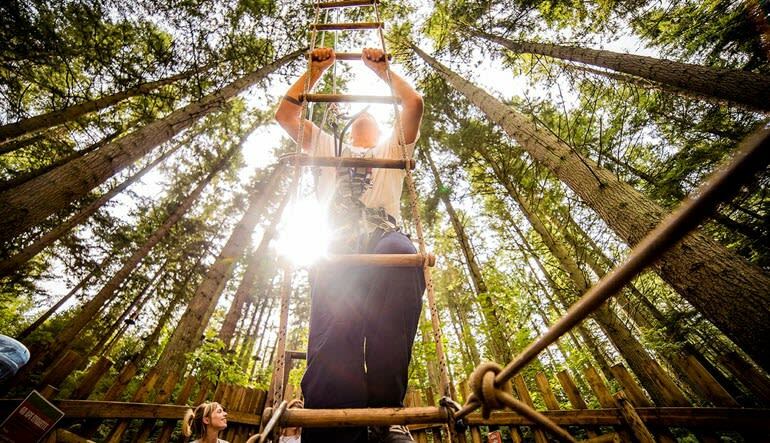 You'll also be given the chance to conquer the Spiders Web, our Zigzag Bridge, and 2 Tarzan swings - some taking you right over the water! Equally as sensational as the Tarzan ropes and rickety bridges is the nature that surrounds the big course. Keep an eye out for the wildlife that calls South Carolina home! Explore North Myrtle Beach Park on a 2 to 3 hour zipline and canopy tour! Harness up and learn the ropes with a brief safety instruction. 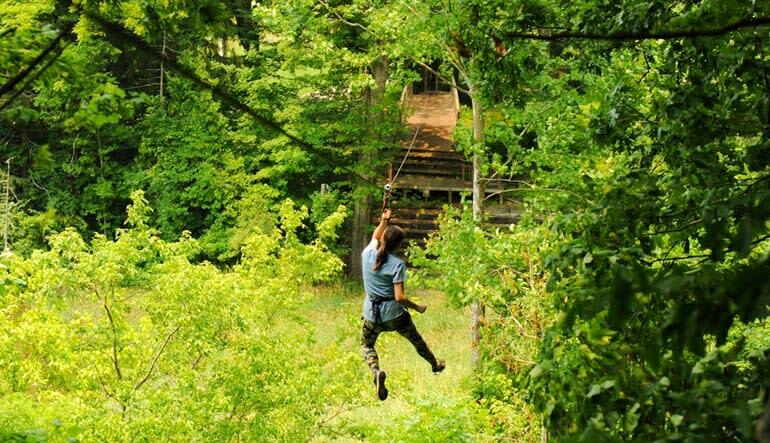 Glide from one treetop to the next on 40 exciting crossings! Challenge your fears on 5 thrilling ziplines! Swing, jump, and climb through dozens of obstacles. Appreciate South Carolina's greenery from high up in the trees! The perfect teambuilding adventure in North Myrtle Beach—grab your buds and book the excursion today!